Inhibition of butyrylcholinesterase (BChE) might be a useful therapeutic target for Alzheimer’s disease (AD). A new series of 1,2,3,4-tetrahydro-9H-carbazole derivatives were designed synthesized and evaluated as BChE inhibitors. While all of the derivatives have shown for AChE IC50 values below the detectable limit (> 100 µM), they were selective potent BChE inhibitors. 1-(2-(6-fluoro-1,2,3,4-tetrahydro-9H-carbazole-9-yl)ethyl)piperidin-1-ium chloride (15 g) had the most potent anti-BChE activity (IC50 value = 0.11 μM), the highest BChE selectivity and mixed-type inhibition. Pharmacokinetic properties were accordant to Lipinski rule and compound 15g demonstrated neuroprotective and inhibition of β-secretase (BACE1) activities. Furthermore, in vivo study of compound 15g in Morris water maze task has confirmed memory improvement in scopolamine-induced impairment. All results suggest that new sets of potent selective inhibitors of BChE have a therapeutic potential for the treatment of AD. A new series of 1,2,3,4-tetrahydro-9H-carbazole derivatives were designed synthesized and evaluated as BChE inhibitors. While all of the derivatives have shown for AChE IC50 values below the detectable limit, they were selective potent BChE inhibitors. Compound 15g had the most potent anti-BChE activity. 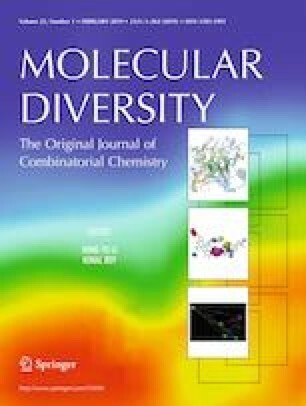 All results suggest that new sets of potent selective inhibitors of BChE have a therapeutic potential for the treatment of AD. The online version of this article ( https://doi.org/10.1007/s11030-019-09943-6) contains supplementary material, which is available to authorized users. The authors thank the equipment supports from Department of Medicinal Chemistry, Shahid Sadoughi University of Medical Sciences, Yazd, Iran, and Department of Cellular Biotechnology at Cell Science Research Center, Royan Institute for Biotechnology, ACECR, Isfahan, Iran. This work was supported by Grants (9211302001) from the Research Council of Tehran University of Medical Sciences.